Having over 2 decades of experience in the Bio Analytical sphere. In year 2005, he was awarded M.D. (h.c.), under expert consults. Awarded for work at public health services sites in yielding empiricist discovery of molecular variants in cardiac ion channelopathies in patients with Idiopathic Ventricular Fibrillation (without Brugada ECG changes) and LQTS3. Besides a certified stroke scale specialist (AHA), he continues as a fellow at the National Comprehensive Cancer Network & professional member at the American Heart Association. His continuous endeavours and passion to learn helped him to qualify in multi disciplines of his extended study and practice. These include certifications for expert evaluation, prognosis & management of symptoms and side effects in the field of Cardiology, Oncology, Diabetes & Nutrition etc., from several institutes to include leading international centres such as Harvard Medical School, UCLA, OHIO State University & University of Pennsylvania to name a few. He is council member and expert consult to many international societies and author to over 32 publications. Consultant Quality Standards and Testing to Gov. Of India, Member of several councils and a senior member at the Indian, Association of Biotech Lead Enterprises. Bestowed recently, by the advisor to the Govt. and Union Minister Sh. Oscar Fernandez for his excellence in healthcare management for year 2012 and 2013 in a row. He also a proud recipient of the coveted Udyod – Rattan Award and a Six Sigma specialist under the Motorola University. He currently holds the position of Managing Director and member of the board at AceProbe Technologies (India) Pvt. Ltd. that operates in the niche segment of Life Sciences with its offerings in Next Generation Genetic Analysis Platforms, Research Services and Molecular Diagnostics. He has lead several administrative roles successfully, to include a long stint at Wipro and associations with many corporate sectors companies like Hewlett Packard (Agilent), Siemens, Bruker, Beckman-Coulter & Sequenom to name a few leaders in the Life Sciences and allied industry. WASHINGTON: A new study has revealed that breast cancer can be diagnosed early by detecting changes in the zinc in our bodies through a simple blood test. Study conducted at Oxford University examined the techniques to analyse trace metal isotopes for studying climate change and planetary formation and then they applied them to how the human body processes metals. For the first time in the history the researchers were able to show that changes in the isotopic composition of zinc, which can be detected in a person’s breast tissue, could make it possible to identify a “biomarker,” which was used to measure breast cancer. Dr Fiona Larner of Oxford University’s Department of Earth Sciences said that it had been known for over a decade that breast cancer tissues contain high concentrations of zinc but the exact molecular mechanisms that might cause this have remained a mystery. She further added that this research was the beginning of a whole new approach and to understand how different cancers have different trace metals and could enable them to develop both new diagnostic tools and new treatments. Senior Citizen alert Who are taking (ACE) inhibitor or an angiotensin receptor blocker (ARB) hypertension drugs! Please note that all elder persons who are taking the above may have a problem with c-administration of this antibacterial drug called as Trimethoprim-sulfamethoxazole combination. While trimethoprim-sulfamethoxazole (TMP-SMX) has generally been felt to be well tolerated, a case-control study found an association between sudden death, possibly due to hyperkalemia, and prescription of TMP-SMX among older patients who were also receiving an angiotensin converting enzyme (ACE) inhibitor or an angiotensin receptor blocker (ARB). 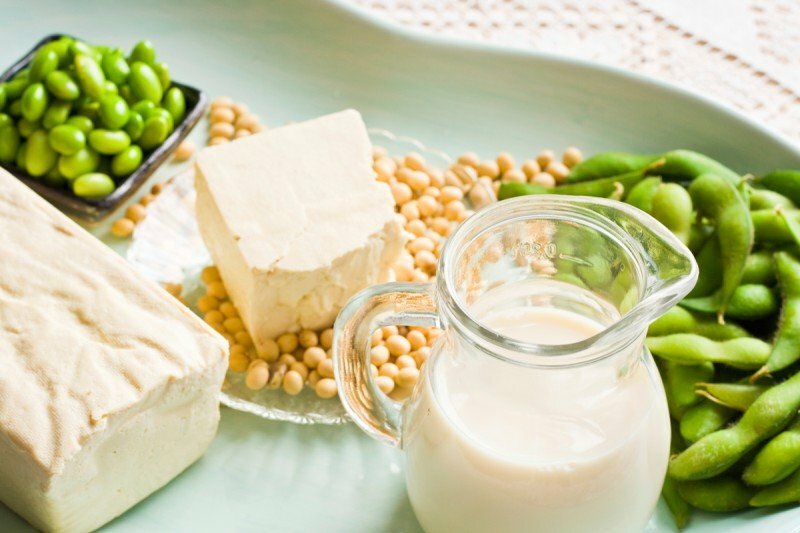 Soy and products made from it, like soy milk and tofu, could have an effect on genes involved in breast cancer growth. Theories abound as to which foods help or hurt in preventing cancer or easing its effects on the body. Researchers at Memorial Sloan Kettering have recently uncovered evidence that addresses one often-discussed food in many diets: soy. On Cancer: Soy Consumption May Promote Overexpression of Breast Cancer Genes in Some Women | Memorial Sloan Kettering Cancer Center. Ginger did it again! This time the working of this may not be very good to hear! read through the post and you would know of the bleeding aspects it may have due to dose and concentration of the extract or the like mixtures. Ginger for Preventing Chemo-Induced Nausea: What Is the Evidence? Two of the trials were negative in terms of benefit, two determined ginger was similar in benefit to metoclopramide, and three trials demonstrated some benefits. Working Group Evaluates Designing Clinical Trials in Biomarker and Targeted Therapy Era – AACC.org. Oncology-related clinical trials fail more often than trials focused on other diseases, often during phase III, when much time and money has already been devoted to the research. The “heterogeneity of cancer across and within a disease” is likely one of the reasons these trials fail, says a report from the National Comprehensive Cancer Network (NCCN) Working Group on Clinical Trial Design in the Era of Multiple Biomarkers and Targeted Therapies, which offers recommendations for improving the clinical trial process. Quickly let me summaries the module 1A. We learned about the basic characteristics of the blood as two liquid tissues of the body. One as blood and the other as Lymph (pronounced as limf). now let us see what blood consist of. Blood consists of solid and a liquid component. The solid portion is made up of cells and the liquid portion is called as the Plasma. Cells make up of total 45% of the blood volume and plasma makes up for the remaining 55% of the volume. the total blood is also known as whole blood and the whole blood= Blood Cells (45%)+ Plasma (55%) as stated above. 1. Red Blood Cells (Erythrocytes) also called as RBCs. these are the cells that have a protein on their surface called as haemoglobin and helps transport the oxygen and carbon dioxide. they are made in bones (Bone Marrow). Look below for the cancer type in blood. 2. White Blood cells (Leukocytes) also called as WBCs. these white blood cells are of different types and have their functions but mainly help against infections and making antibodies to fight them. when we are short of producing some antibodies we take medicines called as antibiotics that help us fight infections. 3. Thrombocytes also known as clotting cells, cell fragments or platelets. Thrombo means clot and cite means cell hence thrombocytes are cells that help clotting of blood. PLASMA: In simple words, plasma is a river of liquid in which the cells float. this plasma contains several hundred types of proteins. Plasma contains water and proteins like serum albumins, globulins, and fibrinogen), glucose, clotting factors, electrolytes (Na+, Ca2+, Mg2+, HCO3-, Cl-, etc. ), hormones, and carbon dioxide. These rare essential for the body to maintain a good health. we shall discuss them separately when they come up in some details, but not in too much details as i do not want to confuse you. Serum is a word we all must know. this is nothing but llama minus the clotting proteins. Serum is studied for evidence of infections in the blood and in turn body. we can again say Serum= Plasma – (clotting proteins). Leukaemia is a cancer that Leukaemia affects your white blood cells. These are an important, infection-fighting part of your immune system, made in your bone marrow. If you have leukaemia, you produce an abnormal number of immature white blood cells which ‘clog up’ your bone marrow and stop it making other blood cells vital for a balanced immune system and healthy blood. Acute myeloid leukaemia (AML). It’s most common in people over 65, although people of any age can get it. Acute lymphoblastic leukaemia (ALL). This is the most common type of leukaemia in children. Chronic myeloid leukaemia (CML). It’s a rare condition. It’s much more common to get it if you’re over 60 and is very rare in people under 40. Myeloma: Myeloma (also called multiple myeloma) is a blood cancer of the plasma cells. Plasma cells are found in your bone marrow and produce antibodies which help fight infection. In myeloma, unusually large numbers of abnormal plasma cells gather in your bone marrow and stop it producing an important part of your immune system. The myelodysplastic syndromes (MDS) are a group of blood disorders where a person’s bone marrow is not producing the correct amount and quality of blood cells. Red, white and platelet cells can be affected. There are two LIQUID TISSUES in the body , Blood and the lymph (pronounced as limf). -Blood is responsible for transportation go gases such as oxygen and carbon dioxide. -Blood also transports chemical substances like hormones, nutrients and salts. – Blood also transports cells that defend the body and we shall learn about this too as we go downstream. – Blood Blood is responsible for maintaining a balance of all the body fluids. this means it helps in maintaining electrolyte balance, acids and its balance with base like substances and also maintains the temperature of the body. – As it gets exciting from here let me share with you that the blood also protects the body from infection. – It also protects the body from loss of blood by the action of clotting. The study , diagnosis and treatment of diseases of blood and blood forming organs in called haematology, a word made from combination of word “Haemat/o” meaning Blood and “logy” that means study, hence meaning study of blood. doctors of medicine professional who work in the filed of haematology are called as haematologists. The blood system of the body is officially or medically called as the Hema-tic (pertaining to blood) like pertaining to automation in a common word, ” Automatic”. wish it is clear now. This system consists of two components: Blood and vessels (blood vessels) that carry the blood throughout the body. Now let us learn where and how the blood is formed in the body. This process of formation of blood in the body is called hemato(blood)-poiesis (meaning formation). this word may not be so important but another word connected with the hematopoiesis is important. this word is for a cell from where the formation of blood starts and this cell is called as Stem cell. We all hear of stem cells in news and in various publications that talk about the stem cell therapy and its collection when kids are born or other wise she they are grown in the laboratory. i am sure there would be many questions around stem cells but please refrain your questions to cancers, else we shall loose the track. i hate to say no but you may ask the questions offline at my email or another No-Profit/ non commercial site endyourillness.com. however please do confirm in case we are going slow or too fast and if the language is simple. Based on your feed back i promise to alter my way to suit every member without being modest or mean. Tripple Negative Breast Cancer most common in younger child bearing women! miR-21 expression in tumour microenvironment is an indicator, according to US scientists. Women with triple-negative breast cancer (TNBC) have a higher probability of worse clinical outcomes than other tumour subgroups. US scientists have therefore looked for predictive biomarkers and found that high levels of the microRNA miR-21 in the tumor microenvironment can be indicative of the disease’s progression. The findings have been published in “The American Journal of Pathology”. 15 cancer symptoms men should never ignore-what are the most common cancers in men! “If you notice a lump, heaviness, or any other change in your testicle, never delay having it looked at,” says Herbert Lepor, MD, urology chairman at New York University Langone Medical Center. “Unlike prostate cancer, which grows slowly, testicular cancer can take off overnight.” Your doctor will look for any problems with a physical exam, blood tests, and an ultrasound of your scrotum. These can be among the first signs of cancer of the bladder, kidneys, or colon. It’s a good idea to see your doctor for any bleeding that’s not normal, even if you don’t have other symptoms, Lepor says. Although you’re more likely to have a problem that’s not cancer, like hemorrhoids or a urinary infection, it’s important to find and treat the cause. When you notice a change in the size, shape, or color of a mole or other spot on your skin, see your doctor as soon as you can. Spots that are new or look different are top signs of skin cancer. You’ll need an exam and perhaps a biopsy, which means doctors remove a small piece of tissue for testing. With skin cancer, you don’t want to wait, says Marleen Meyers, MD, an oncologist at NYU Perlmutter Cancer Center. Swollen lymph nodes, small bean-shaped glands found in your neck, armpits, and other places, often signal that something’s going on in your body. Usually, they mean your immune system is fighting a sore throat or cold, but certain cancers also can make them change. Have your doctor check any swelling that doesn’t get better in 2 to 4 weeks, Meyers says. You can take care of most cases of heartburn with changes to your diet, drinking habits, and stress levels. If that doesn’t help, ask your doctor to look into your symptoms. Heartburn that doesn’t go away or gets worse could mean stomach or throat cancer. If you smoke or chew tobacco, you have a higher risk of mouth cancer. Keep an eye out for white or red patches inside your mouth or on your lips. Talk to your doctor or dentist about tests and treatments. A fever is usually not a bad thing — it means your body is fighting an infection. But one that won’t go away and doesn’t have an explanation could signal leukemia or another blood cancer. Your doctor should take your medical history and give you a physical exam to check on the cause. “Men tend to ignore breast lumps because breast cancer isn’t on their radar,” Meyers says. “But 1% of all breast cancers occur in men, although they’re usually diagnosed much later.” Don’t take any chances. If you find a lump, tell your doctor and have it checked. In nonsmokers, a nagging cough is almost never cancer. Most go away after 3 to 4 weeks. If yours doesn’t, and you’re short of breath or cough up blood, don’t delay a visit to your doctor, especially if you smoke. A cough is the most common sign of lung cancer. Your doctor can test mucus from your lungs to see if you have an infection. He may also give you a chest X-ray to check for another problem. Cancer doesn’t cause most aches and pains, but if you’re hurting for more than a month, don’t just grin and bear it. Ongoing pain can be a signal of many types of cancer, especially those that have spread, Lepor says. Balakrishna saves the life of cancer patient – Telugu Movie News.